The Oregon Trail: A New American Journey (Paperback) | Let's Play Books! Rinker Buck began his career in journalism at the Berkshire Eagle and was a longtime staff writer for the Hartford Courant. He has written for Vanity Fair, New York, Life, and many other publications, and his work has won PEN New England Award, the Eugene S. Pulliam National Journalism Writing Award, and the Society of Professional Journalists Sigma Delta Chi Award. 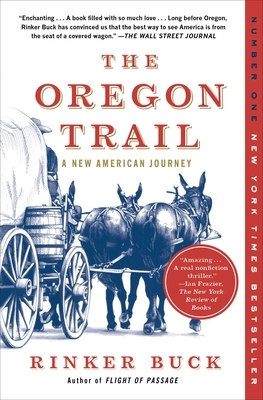 He is the author of The Oregon Trail as well as the acclaimed memoirs Flight of Passage and First Job. He lives in northwest Connecticut.